Barclays Bank consumer credit arm Clydesdale Financial Services is being sued for more than £1.5m by 106 consumers over a holiday home timeshare scheme. The group of claimants all bought shares in holiday homes in countries including England, Spain, Australia and Tenerife between 2006 and 2014 through timeshare club Resort Properties. Silverpoint Vacations took over Resort Properties around 2011, according to High Court documents uncovered by Money Marketing sister title Mortgage Strategy. The claimants say they were invited to presentations by Resort and Silverpoint where they were given a free week’s holiday in a resort as an incentive. The clubs then recommended the borrowers take out loans with Clydesdale to fund timeshare deals. However, the 106 members of the public say the details of the deal were not clear and that they were rushed into signing. Many of the consumers claim they were told their timeshares were an investment that could be easily resold for profit, helped by the clubs. They also claim Resort and Silverpoint told them they could rent out their timeshares to meet their repayments to Clydesdale, and that the loan could be paid off by selling their stakes. However, the claimants say the clubs misled them, cost them money and harmed their credit ratings. Many claimants say they were not informed they were entering into a credit card agreement, or that there was a variable interest rate. The consumer group says the clubs blamed problems selling the timeshares on factors like the recession. The 106 claimants say the clubs then encouraged them to buy further timeshare stakes trying to recoup their initial losses. Many bought more expensive timeshares in a set of resorts called ‘Club Paradiso’. Edwin Coe partner David Greene, representing the 106 claimants, says the group is targeting Clydesdale under section 75 of the Consumer Credit Act. The act says creditors can be liable for actions of suppliers. But Clydesdale denies the claims are valid and says their lack of detail is “embarrassing”. The lender’s legal response says the claims rest on spoken deals, but that the exact details are not quoted by the 106 claimants. Further, they say many claims are too old to be brought, and that the laws of the countries the timeshare properties were based in should apply, not the law of England and Wales. Clydesdale also denies the Consumer Credit Act now applies to it, as the licensing system the law founded ended when the FCA took over consumer credit regulation from the Office of Fair Trading in 2014. The lender also says the claimants’ contracts fully explained the deals they were getting into and that it does not owe a duty of care to the claimants. Silverpoint did not respond to requests for comment. Timeshares are notoriously difficult to resell, and scammers know this whenever they offer a “helping” hand – promising to find a buyer immediately while demanding an upfront fee but with no real buyer in sight. The Minnesota Department of Commerce is once again cautioning consumers about timeshare resale scams that can defraud owners out of thousands of dollars through false promises and fees. Throughout the country, regulators have recently received reports of a more sophisticated timeshare scam. Con artists impersonate licensed businesses in good standing to trick consumers into turning over money and then disappear without ever coming though with an interested buyer. A timeshare owner may receive a phone call or email from someone who claims to be an eager buyer or an agent who promises they can sell the property at a good price –sometimes more than the property is worth. The scam happens when the timeshare owner is asked to make an upfront payment, allegedly for closing costs, taxes, or other fees. The owner is instructed to wire funds to an offshore bank account with a promise that the money will be held in escrow until the sale is finalized. Many times, the scammer will then disappear with the owner’s money. Sometimes, however, they will ask for yet more money for fees that have suddenly “come up.” Either way, the owner rarely sees their money again. Don’t pay upfront fees. Legitimate fees should be paid as part of the closing or deducted from the sale price. Don’t wire money or send a money order or cashier’s check. It is almost impossible to recover these funds if you have been scammed. Be wary of an overeager buyer. Scammers identify timeshare owners through public databases and real estate records. They will cold call or mail materials, offering purchase terms that are often too good to be true. These tactics are a red flag that the offer could be a scam. Do some homework. Check the would-be buyer or agent’s name, phone number, and address on the internet. If you have trouble finding information, or if what you find looks suspicious, the offer could be a scam. Contact the home timeshare resort where you own your timeshare. See if they have any information on the reseller who contacted you. Often, a resort will have its own buy-back or resale program, or it can provide a list of reputable agents. Do not provide personal information, bank account information, or credit card information over the phone to a reseller. Remember, these scammers are also out to steal your personal information for identity theft. The Better Business Bureau has issued a warning for a timeshare scam. 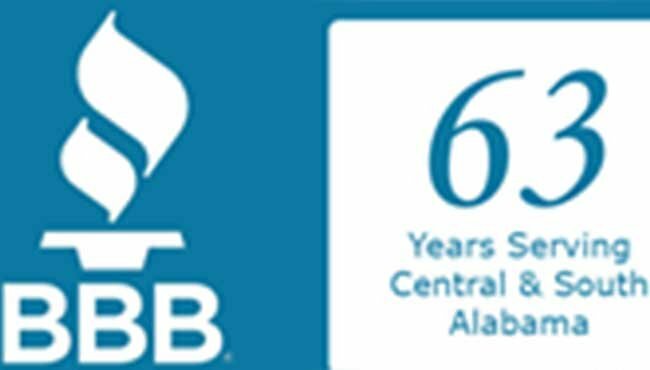 The Better Business Bureau serving Central & South Alabama has issued an alert for a timeshare scam claiming an address in Mobile. Pinebrook Resorts ((pinebrookresorts.wixsite.com/pinebrookresorts) was brought to the attention of BBB by consumers claiming to have been contacted by the business. “We talked to a [Pinebrook Resorts representative] and he wants us to send $175 via western union to Daytona Beach Florida with a receiver [of another Pinebrook Resorts representative]. The money is supposed to pay for City and County transfer taxes $75.52 and title Search fee $99.48,” one consumer reported. These reports mirror those of complaints filed with BBB against a timeshare purchasing website allegedly located in North Carolina with a nearly identical URL (stonecrestresorts.wix.com/stonecrestresorts). Pinebrook’s website also features matching text and layouts from other timeshare websites with negative online reviews:http://www.stoneoakresorts.wix.com/stoneoakresorts http://www.timesharemarketplace.com/complaints/timeshare-resale/417/stone-oak-resorts/stone-oak-resorts. A BBB investigator went to the Mobile address listed on the business’ website and confirmed that they are not where they claim to be. The real estate company that manages the Pinebrook Shopping Center Property has confirmed that the business is not there and that they have received inquiries on the business similar to those received by BBB. BBB attempted to contact Pinebrook Resorts via the phone number on the business’ website, but only received an automated message for a Google Voice number that went unanswered. Do Not Be Pressured. Do not agree to anything that is presented over the phone. Before agreeing to anything, take your time to think about your decision. Ask the salesperson to send you written information. Do not be pressured by a salesperson that claims your property can be sold immediately. Look at the Fees. Avoid businesses that ask for an “appraisal” fee or closing costs upfront. Be aware of businesses that give you a large fee and then slightly decrease it to seem like a “good deal”. Search for a business that will allow you to pay for the fees after the timeshare has been sold. Never wire money and be sure to ask what fees will be included in the cost and if they are refundable. Read the Contract Carefully. The contact should include: what services the broker provides, how much and when the costs should be paid, a length of time to sell the timeshare and the refund and guarantee policy. Make sure the contact states who is responsible for the sale. Too Good To Be True. Know the estimated value of the timeshare before bringing it to be sold. If the deal the business offers sounds too good to be true, it probably is. All content © 2017, WALA; Mobile, AL. (A Meredith Corporation Station). All Rights Reserved. I’ve previously urged readers to never buy a variable annuity. Last fall I broke my self-imposed rule to never mention the word “bitcoin” in print. Some day soon I’ll write about never buying gold. This column is dedicated to why I hate time-shares. I hate the way they’re sold. I hate the way time-shares give the appearance of an “investment,” when they are, in fact, the opposite of an investment. I hate the way financially distressed people buy time-shares. Taken together, time-shares, variable annuities, bitcoins and gold are the Four Horsemen of your Personal Financial Apocalypse. All four share the characteristic of being packaged and sold as sound investments, when really they’re expensive, money-soaking tricks. For your benefit, I signed up for a time-share pitch last week. I sacrificed an otherwise pleasant afternoon to multiple aggressive and manipulative sales techniques packed into 90 minutes. You’re welcome. I deserve a medal for bravery. Roberto, my personally assigned salesman at Wyndham Resorts, asked me for 15 minutes about what kind of vacations I usually take, where I like to go, and who I go with. As I warmed up to describing skiing and camping trips with my daughters, he asked me to share the “feelings” I experienced with them while on vacation. Oh, Roberto, thank you for asking. I mean, really, he was great. Plunging deep into the hazy mist of emotions and family, I learned that time-shares are a legacy to pass on to my daughters. They promise “ownership” in perpetuity, yet every month charge “maintenance fees” that never go away. My editor at the newspaper here is an heiress who “inherited” a Hilton Disney World time-share from Dad after he couldn’t find anyone to buy it. Hey, thanks, Dad! It costs her $1,200 a year to maintain. With a handsome legacy like this, she may never be able to retire. Once made dizzy by this emotional journey, Roberto began to bludgeon me with the fuzzy logic of time-shares. Since I already spend a certain amount of vacation money per year on my family — as he scribbled some numbers on a page — wouldn’t I like to “own” rights to vacation spots rather than “rent” as I have been doing through traditional hotels? What if I could do that at less cost? More number scribbling followed, plus I would gain “Deed and Title” to vacation ownership. Roberto wrote “D&T” on the page and underlined it twice, so I’d really grasp the solidity of this type of ownership. “Deed and title?” That is such garbage. Ask anyone who has ever had tried to book time-share vacations with points and you will quickly enter a world of “exchange fees,” added fees for “guest certificates,” fees for membership in the points exchange company, and heavy restrictions on usage. Can’t book your vacation with 1½ years’ lead time? Sorry, all the places you want to go, at the listed “points” price, are blocked. Ever noticed that carnivals and video-game centers always work on a tokens or tickets system rather than money? Time-share venders use points for the same reason. So do casinos. It’s so much easier to forget you’re spending real money once its converted into points, or tokens, or tickets. But back to my afternoon with Roberto. He repeatedly used the classic “anchoring” sales technique of saying the full price of their vacation point package would be $100,000, only to eventually offer a very similar package for around $27,000. Wow, I should have been thinking, what a huge discount. All just for me? Actually, he made two offers, a bigger price and a smaller price. Given those two, he asked, which one seemed more attractive? This is the sales technique of making me feel like I’m cleverly in charge and actively choosing a smart, low-cost option. When he heard I was in finance, my salesman focused on the clever “inflation hedge” aspect of these time-shares. Since the cost of hotels would be increasing by 10 percent to 14 percent in coming years (an #AlternateFact, but whatever) I should know that my points would be worth the same amount forever, so I’d be better off buying today rather than waiting. Speaking of today, in a classic red-flag sales technique, Roberto would not allow me to take any of their marketing materials or specific offers home to “think about it.” The offer, of course, was “this day only,” with assurances that on any subsequent day I came back the offer would likely be worse. After I declined to purchase the package, I was sent to an exit interview with a new person. Following a few cursory “how was your experience today?” questions, she hit me up again with an offer to purchase a smaller package, at an even lower price. Today only, of course. In an earlier professional life, I networked with bankruptcy trustees, the people who sell off valuable assets of the estate of a person who goes bankrupt. You’re not going to believe this, but trustees always, always, always had time-shares to offer. The simple problem for bankruptcy trustees is that time-shares are worth nothing. No, that’s not quite right. Time-shares are worth less than nothing. They have negative value because they cost money every year to maintain. This is why eBay is full of offers for time-share vacation weeks, and hundreds of thousands of “points,” for $20, or $1. Or even $0.01. Check it out here. Caveat emptor, or buyer beware, on any particular offering on eBay, obviously. But a scan of time-share message board confirms that paying full price for a time-share is a mug’s game. All bankruptcy trustees become inadvertent experts in time-shares, and not just because they can never seem to sell these so-called “assets.” There’s clearly a positive correlation between people who go bankrupt and people who are tricked into believing time-shares are a good investment. Bankruptcy trustees tell a joke among themselves that by law in the U.S., nobody is allowed to go bankrupt unless they have first purchased a time-share. The slogan of the entire industry should be: “Time-shares: All the costs of renting, none of the benefits of owning.” Catchy, no? Americans are missing more payments on their timeshares, according to Fitch Ratings, the latest sign of weakness around the edges of U.S. consumer credit. About 3.75 percent of timeshare borrowers were behind on their bills in the fourth quarter, up from 3.37 percent in the same period a year earlier, and the highest level since the end of 2011, according to a Fitch report Thursday that looked at contracts that had been bundled into bonds. The weakness is evidence of companies becoming looser with financing to customers, Fitch said. Companies offering the financing are also writing off more loans. The default rate rose to 0.70 percent in the fourth quarter from 0.61 percent in the same period a year earlier, according to the report. U.S. consumer credit quality is still broadly strong, but there have been pockets of weakness in areas including timeshares, online consumer loans and subprime auto loans. The rising delinquencies come as Americans have loaded up on debt at the fastest pace in three years. U.S. household debt rose by $226 billion in the last three months of 2016, bringing total consumer debt to $12.58 trillion, according to the Federal Reserve Bank of New York. The figures, which include mortgages, student loans, auto loans and credit card debt, are just shy of the $12.68 trillion high-water mark from 2008. “Debt held by Americans is approaching its previous peak, yet its composition today is vastly different as the growth in balances has been driven by non-housing debt,” Wilbert van der Klaauw, a senior vice president at the New York Fed, said earlier this month. A Waunakee businessman who took over unused timeshares for a fee will have to refund money to owners and return the timeshares to resorts, according to a consent judgment announced Friday. Uri Fried and his companies, The Timeshare Group and The Timeshare Company, were accused by the state in June 2015 of violating consumer protection laws in marketing and selling “timeshare transfer” services nationwide. The victims were timeshare owners and the resorts or owners’ associations where those timeshares were located. Fried offered timeshare owners in a down market a way to break free from “legal obligations quickly and easily, in return for payment of a fee,” according to a complaint. He did that via several steps in filing warranty deeds and forming limited liability companies. After that, the LLCs just held the timeshare deed and ignored the rights and responsibilities of timeshare ownership, such as paying annual fees. There is a name for this practice, according to the complaint: “Viking Ship,” so-called because of a loose reference to Vikings who put their dead onto ships, set them on fire and pushed them out to sea. The civil complaint said Fried set up 24 such Viking Ship LLCs, intentionally using names that sound like names of real people, in Wisconsin, and processed “tens of thousands” of timeshare transfers into them. Meanwhile, those units racked up bills to resorts that were never paid. Many resorts eventually caught on and refused to accept transfers to Fried’s LLCs. But he continued to solicit business from timeshare owners at those resorts, the complaint said. With that scheme, Fried claimed to have created the “timeshare disposal business” in the 1990s. Fried could not be reached for comment. State regulators accused him and his companies of making repeated false, deceptive and misleading statements and practices in marketing via postcard and video and the internet. The consent judgment includes a $145,000 settlement, of which nearly $32,000 goes to reimburse 14 consumers; $30,000 to be distributed between seven timeshare owners’ associations; $60,000 in forfeitures and assessments; and $23,000 to reimburse the state’s costs. Fried is barred from the timeshare business and he has to return the timeshares to resorts, if they want them back, the complaint said. According to federal court records, Fried pleaded guilty in 2015 and was sentenced to a year and a day in prison for filing a false tax return. Fried, described then as a “timeshare wholesaler,” agreed that his unreported income from this business between 2008 and 2009 was $1,980,035 and that he owed $706,636 in federal taxes for these two years. While purchasing a timeshare may sound good, there can be a host of headaches and problems with timeshare ownership, including higher-than-anticipated costs and difficulties reselling it. Timeshares typically come in two forms: deeded and right-to-use. With a deeded timeshare, you own part of the property—often for a specific time each year—and depending on the contract, you may buy it for a definite number of years, for life, or until you sell it. With a right-to-use timeshare, you acquire the right to use a property from a developer, but you don’t actually “own” the property. Fees. Besides the upfront cost of a timeshare, you may be responsible for yearly maintenance fees, special assessments, property taxes, and/or utility expenses, regardless of whether you use the property. If you don’t pay the fees, you may face foreclosure. Scheduling vacation time. You may not always get the dates you want. The best times often fill up quickly, and you may be stuck with an undesirable time at your resort. Foreign countries have different laws. When you purchase a timeshare that is outside of the United States, you are not protected by United States laws. Foreign countries’ consumer protection laws are not always as robust as those in the United States. If you buy a timeshare outside of Minnesota, the laws of that state or country will apply. Difficult to sell. Timeshares are notoriously hard to sell. Lots of timeshares are on the market, and consumers often have to sell their timeshares at a loss. Sometimes it may take years to unload a timeshare. Timeshare scams. The market is filled with scammers who say they can sell your timeshare for a good price. They usually ask for money upfront and then never sell your timeshare. Timeshares are not investments. Don’t view purchasing a timeshare as an investment. Timeshares usually go down in value after you buy them. Additionally, you may want to calculate the cost of renting similar accommodations each year. Renting is often cheaper and doesn’t lock you into a long-term contract. Borrowing money. Since they depreciate in value quickly, banks usually won’t lend you money to buy a timeshare. Developers will often arrange financing, but often at high interest rates. High-pressure sales. Don’t be swayed by high-pressure sales tactics. Talk to a lawyer or real estate professional before signing anything. Always ask about your right to cancel a contract. Minnesota law gives the Minnesota Department of Commerce authority to regulate the sale and marketing of subdivided land (including timeshares) in Minnesota. In general, sellers of subdivided land must register the land interest and obtain a real estate broker or salesperson license from the Department before making any offers or sales in the state. If you think a timeshare seller is engaging in deceptive or unfair business practices, file a complaint with the Department and the Federal Trade Commission, a federal consumer protection agency. What Can We Expect from Wyndham in 4Q16? Wyndham (WYN) is expected to report its 4Q16 earnings on February 15, 2017, before the market opens for the day. Analysts are estimating 4Q16 revenues to rise 1.4% to $1.3 billion and earnings per share to rise 32% to $1.30. Before we discuss the key indicators that drive Wyndham’s stock prices, we’ll look at how the stock has performed with respect to its peers. Wyndham’s stock price has risen by over 17.6% in 4Q16. For the full year 2016, the stock has risen 4.2%. However, the company has underperformed its peers. Hilton (HLT) saw the largest gain in its stock price of 24.4% followed by Hyatt (H), which gained 14.7%, and Marriott (MAR), which gained 20.2%. The broader market, tracked by the SPDR S&P 500 ETF (SPY), rose 3.6% in the same period. However, as of February 8, 2017, Wyndham stock has outperformed peers with gains of 5.4% YTD. Marriott stock rose 3.8%, Hyatt rose 0.96%, and Hilton rose 0.34% in the same period. SPY has gained 2.6%. This pre-earnings series will help you know what to expect from the 4Q16 earnings release on February 15, 2017. We’ll also cover analysts’ estimates for Wyndham’s 2017 earnings. We’ll also discuss the indicators that you need to look for to gauge growth prospects and risks related to Wyndham. Investors can gain exposure to Wyndham Worldwide by investing in the Vanguard Mid-Cap Growth ETF (VOT), which invests ~0.56% of its portfolio in the stock. Wyndham’s (WYN) revenue growth has been on a declining trend since the beginning of 2013. After clocking a growth of 10.5% in 2013, revenue growth fell to 5.4% in 2014 and further to 4.8% in 2015. For the full-year 2016, revenue is expected to fall even further to 1.4% to $5.6 billion. However, revenue growth is expected to improve in 2017. Revenues are expected to rise 2.1% in 1Q17 to $1.3 billion, 4.1% in 2Q17 to $1.5 billion, 4.2% in 3Q17 to $1.6 billion, and 4.1% in 4Q17 to $1.4 billion. This will lead to full-year 2017 revenue growth of 3.4% to $5.8 billion. The vacation ownership or timeshare segment accounted for almost 47% of Wyndham’s revenue in 3Q16. The segment is expected to be the main driver for growth going forward. The company will also be launching new timeshare exchange products in 2017, allowing Wyndham to expand its services to new members. The company is also putting in incremental efforts to increase new and younger owners in the segment, which will help improve future revenues. Research by Brand Keys has found that Wyndham’s Microtel brand has the largest number of loyal customers in the economy hotel class. It has also been the top-rated economy hotel for 13 of the last 14 years in JD Power’s annual survey, which means repeat clientele and assured future revenues for Wyndham. Growth for hotels, especially in the timeshare segment, is driven by factors such as disposable income available to customers, a stable US economy, and growing household income. The world’s growing middle-class population will boost travel demand, which means higher hotel bookings too. Investors can gain exposure to the hotel sector by investing in the Consumer Discretionary Select Sector SPDR Fund (XLY), which invests approximately 1.2% in Marriott International (MAR) and 0.36% in Wyndham Worldwide (WYN). Currently, it has no holding in Hilton (HLT) or Hyatt (H). In 3Q16, Wyndham’s (WYN) adjusted EBITDA (earnings before interest, taxes, depreciation, and amortization) margin rose slightly to 26.7% from 26.2% in 3Q15. This led to an EBITDA of $420 million for the quarter. The company also saw its margins grow on a YoY basis in the first two quarters of 2016. Wall Street analysts expect Wyndham’s 4Q16 adjusted EBITDA margins to be at 23.9% compared to 20.4% in 4Q15. 4Q15 margins were impacted by one-time management termination fees and impairment costs. This will lead to the full-year 2016 EBITDA growth of 7% to $1,371 million with an EBITDA margin of 24.4%. Analysts are also expecting the margins to increase further in all four quarters of 2017. Growing revenue along with rising margins are expected to expand EBITDA further in 2017. For the full year 2017, EBITDA margins are expected to improve slightly to 24.5%, leading to an EBITDA growth of 4% to $1,420 million. Wyndham management hasn’t provided profitability guidance currently due to the ongoing budget allocations. However, it has set a long-term EBITDA growth target of 6% to 8%. For the past five quarters, Wyndham’s EBITDA growth has been higher than that. However, according to the management, the hospitality industry in general is going through a cyclical downturn and thus Wyndham will find it difficult to show EBITDA growth driven by revenue. EBITDA growth for Wyndham in the medium term is more likely to be Opex-driven (productivity gains and cost management), which is not a sustainable strategy. Investors can gain exposure to the hotel sector by investing in the First Trust Consumer Discretionary AlphaDEX Fund (FXD), which invests approximately 14.8% in the hotel, restaurants, and leisure sectors, including 0.58% in Wyndham, 0.87% in Hyatt (H), 0.9% in Hilton Worldwide Holdings (HLT), and 1.2% in Marriott International (MAR). Some clients never cease to amaze you. One day, a client lets you know that they had a great time on vacation and they are thinking of buying a timeshare in that resort community. They feel it would be a good investment. What do they need to know? Timeshares developed a very bad reputation back in the 1970s and 1980s. They have been reborn as fractional ownership, interval ownership, or timeshares with deeded and vacation points structures. Large companies, such as Marriott Vacation Club, Hyatt Residence Club, Hilton Grand Vacations Club, and Westin Vacation Club, are in the business. In many cases it has evolved from ownership of a week in a resort to the deeded/vacation point structure mentioned above. This gives purchasers significant flexibility. What is Your Client Considering Buying? Timeshares come in many varieties. The plain vanilla model is ownership of a specific week at a specific resort. The investment rationale your client sees might be a 100-room resort where each room is owned by 50 different weekly owners, which means there are 5,000 shares. Owning one means they own two-hundredths of 1 percent of the operation. If the resort was ever sold, they would get their proportional share. In practice, this rarely happens. If you advise HNW clients then you'll understand the challenges and the rewards that that can bring. This guide provides valuable insights to make sure you're their indispensable partner. They might be entering into a vacation points structure model where they own a certain amount of points available each year. This can be spent on vacations at their new favorite resort. The points can be spent at other properties managed by the company. The points can be banked. It’s still not an investment. You might wonder what got into your client. Logically they could stay at hotels of their choosing, spending money as necessary. Why buy into a timeshare? Should You Take the Shortcut for Business Driving? 1. Desirability. You absolutely love the location. You want to come back every year, forever. The extra space means you can bring the extended family or invite friends as your guests. 2. Sense of ownership. You want a place you can consider “your own,” yet do not want the headaches of property ownership, especially in a foreign country. You want to avoid dealing with real estate taxes and maintaining a property you will likely only use two weeks a year. 3. Exclusivity. We assume timeshares are in resorts with dozens of hotels and other timeshares. Sometimes, that’s not the case. Areas like the Cotswolds in England, which has severe restrictions on development, might have comparatively few timeshares or large hotels. Countries like Bermuda put severe restrictions on outright foreign ownership of real estate. 4. Bragging rights. You announce at the country club that you are going to “your place in the Caribbean.” Hopefully your friends don’t ask too many questions. 5. Exchangeability (the good). Organizations like RCI operate as timeshare exchange programs. In many cases timeshare owners can bank the units they already own and swap for a week’s vacation in another locale. Members pay a fee to belong. 6. Ability to rent. In some cases the timeshare’s parent organization or an exchange company may provide the service of renting out your week on your behalf if you choose not to use it. 7. Charity auctions. A one-week stay at a luxury property in a resort area can be a great item to donate to a charity auction if you aren’t using your week that year. 1. What’s your property actually worth? Timeshares developed a bad reputation for extremely high upfront commissions and marketing expenses. That’s built into your purchase price. 2. Length of ownership. Do you own your slice of heaven forever? Twenty years? Obviously any underlying value would decrease as the ownership time shortens. 3. Cost to carry. You pay annual maintenance fees to the parent company or resort operator. This covers cleaning, upkeep, property taxes, electricity, etc. However, if the annual cost is $800, plus the cost to carry your initial purchase expenditure, could you have stayed in a hotel for the same amount? 4. Difficulty reselling. Timeshare units are notoriously illiquid. However, the maintained fees remain the obligation of the titled owner. If you can’t sell it, the best way to get out from under the maintained costs may be for you (or your heirs) to turn it back to the parent company. You probably lose your investment, but you are no longer paying maintained fees. 5. Assessments. Like condo buildings in big cities, sometimes serious maintenance work must be done. Owners may be assessed for their proportional share of the expenses, in addition to their annual maintained costs. 6. Exchangeability (the bad). If your timeshare unit has a traditional structure, ownership weeks are divided into low, mid-, and high season. Desirability of the location plays a role. Hawaii might be popular year-round. Mexico and Florida might not be that attractive during the summer. How many bedrooms does your unit have? These details factor into the exchange value of your unit. It would be very hard to even remotely consider timeshare units an investment. However, if you enjoy going to one specific destination yet cannot own property because of foreign rules, or you only plan to use it a week or two a year, buying a timeshare unit might make sense. FYI: A banker passed on some advice awhile back. The best way to buy timeshare units at attractive prices is to become friends with several estate attorneys. From time to time, they have timeshare units that must be disposed of to settle an estate. Transfer Companies may all sound good at first, but many either fail to achieve the goal, or in some cases never perform the promised “transfer” for a variety of reasons—both legal and ethical. What really is needed is LEGAL ownership divestment ABSENT tailing liabilities. Many outfits ‘claim’ to be able to transfer a timeshare, and they ALL take Upfront Fees, typically $3000-$5000 that may end up being NON-REFUNDABLE, but the harsh reality is that some are just simply clueless (and can’t finish), while others are a complete fraud (never intending to transfer anyone’s timeshare). Unscrupulous “transfer” outfits plan to go out of business and walk away with customer’s money (only to reopen in another state under a different name). The Washington Public Interest Consortium was briefed by a very prominent colleague of the 2010 Conference of National Association of Attorneys General regarding these infamous operations that are labeled “Mushroom Corporations” because they pop-up in one state out of the dung… only to die off rapidly, and then resurface under new names in new states. No matter the reason, if the transfer company does NOT finish its job, you will still own a timeshare! [But go figure… they still want to keep your money]. The only way to avoid being scammed is to only pay upon satisfactory closing and proof of transfer. The game here is that Consumers are forced under high pressure sales tactics to act immediately and relinquish up to $5000 to trust an “entity” that can go out of business tomorrow, leaving you stuck with your timeshare (and maybe no Deed). Having said that, it is not to disparage a highly-rated transfer company based upon industry associations, because a select few are perfectly capable of fulfilling a transfer. BE EXTREMELY CAREFUL because the Industry is deeply immersed in Shark Infested Waters, so it’s a good idea to obtain research & reliable recommendations from a Lawyer you know who can subject such companies and offerings to scrutiny. When it comes to the unusually high fraud-rate and endemic nonperformance (the same result), these are extremely precarious waters to navigate, and further complicated by sophisticated tactics, deceitful schemes and hardball sales tactics that confront consumers. Fraudulent Transfers may appear on a piece of well-crafted paper to have achieved your goal: BEWARE! If an owner’s resort is not transferred or liquidated correctly, sellers may have Secondary Liability for financial obligations as per contract or law and potential liability depending on individual facts. Lurking liabilities should be a concern to anyone who has self-protective instincts. Your resort may be friendlier, but a prudent person may not want to test a Resort that has been defrauded in a Sham Sale that costing the resort revenue and damage. Major vacation entity losses could be astronomical prompting them to seek protections. "NEVER PAY ANYONE AN UPFRONT FEE TO SELL, RENT, CANCEL OR EXIT A QUALIFYING TIMESHARE"